beautiful, like this contrast between beaux arts style and modern. 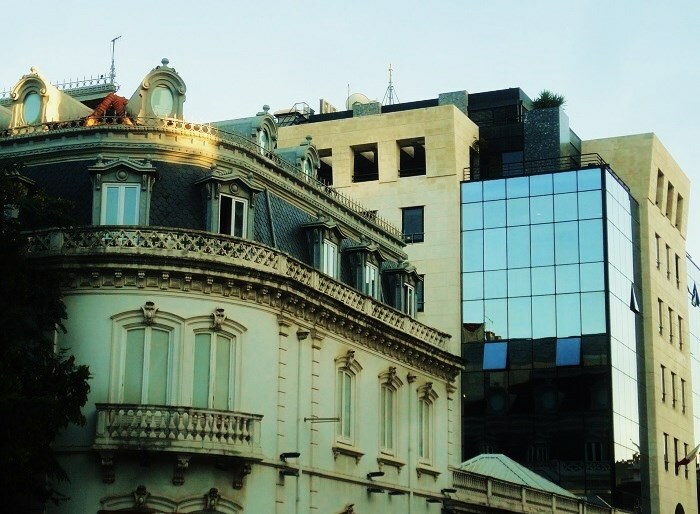 I'm always fascinated by arquitecture in the city. The old and the new - looking good. There is certainly a distinct difference. My preference would be for the older style. Who needs plain, stark buildings covered in glass? I'd also bet the older buildings have a lot more character inside than the new ones. inside!! The older style was one of the things that I enjoyed SO much when I lived in Europe!! Thank you, Jose, as always for sharing the beauty of your world!! Have a wonderful weekend! I think they actually blend well--- Nice shot. Blends well and enhances the character of the city. Old and new work well together here! They do blend well, though I prefer the older architecture. An odd mixture of styles, but that is what a modern city is. I know others find the mix of old and new jarring but I think it can be achieved really well. The older building is pretty amazing Jose, so much detail. I like the way the new is added to the old rather than tearing down the old and replacing it entirely.